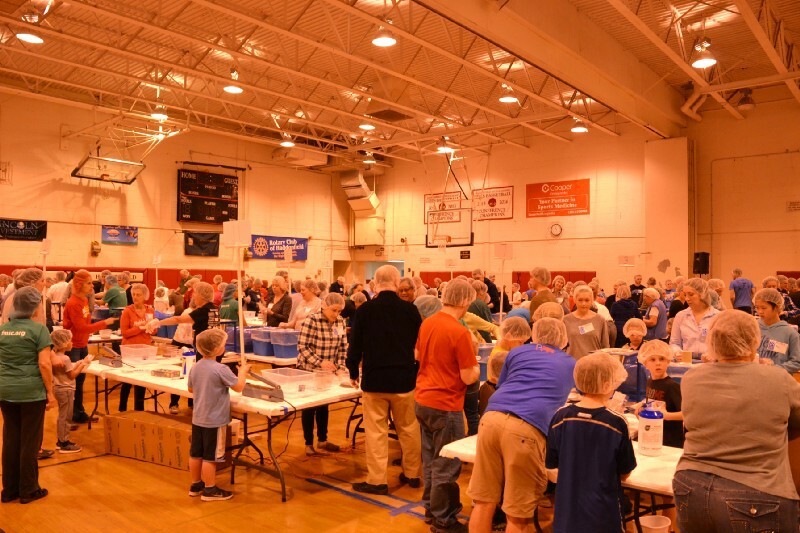 Volunteers packed one million meals for charity in the Haddonfield Middle School gym and fiscal matters dominate Haddonfield commissioners’ meeting. Check out some of the top stories from the past week in the Weekly Roundup. On Saturday, March 24 and Sunday, March 25 the Haddonfield Middle School gymnasium was a hub of commotion with 1,579 volunteers working in seven, two-hour shifts to pack meals for children in schools, orphanages and remote villages. Volunteers gathered at the “It Takes a Village — Feed My Starving Children” celebrated a milestone when the 1 millionth meal was packed since Feed My Starving Children first came to Haddonfield in 2013. Borough commissioners declared March 25 and March 26 “It Takes a Village — Feed My Starving Children Weekend,” and the two-day event resulted in 326,592 meals packed, which will feed 894 children for a year. Borough commissioners adopted a capital bond ordinance appropriating $816,000 and authorizing up to $775,200 in bonds or notes for recreational, building and other capital improvements as well setting the amount for the CAP bank at the Tuesday, March 28 meeting. Starting Monday, April 3, Lincoln Avenue will be closed to thru traffic for PSE&G utility repairs. Daily closures will occur between 7 a.m. and 5:30 p.m. for the next four to six weeks. There will be no thru traffic from Washington Avenue to Ellis Street. The Haddonfield Police Department advises motorists to use King’s Highway. The department warns those traveling in the area to expect detours and delays.